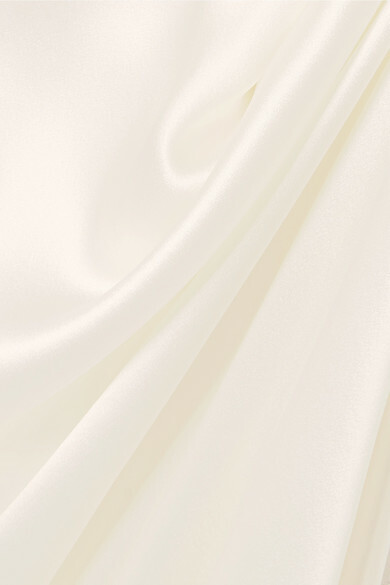 Originally designed for model Rosie Huntington-Whiteley, Galvan's aptly named 'Whiteley' gown is cut from lustrous ivory silk-satin that's cut on the bias to skim over the body, creating a timeless and flattering silhouette. The cowl neck is supported by delicate straps that crossover at the low draped back. 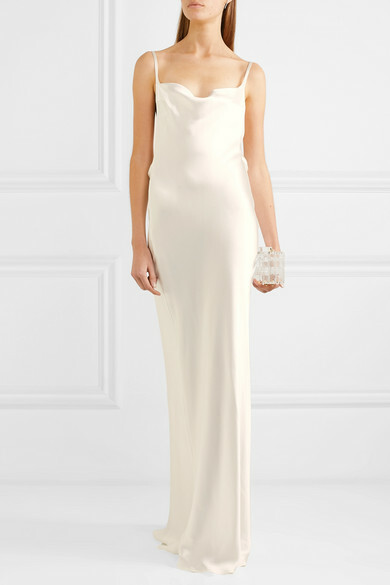 Wear it to your own wedding with tonal sandals and diamond-encrusted jewelry. Shown here with: L'AFSHAR Clutch, Aquazzura Mules, Anita Ko Earrings.